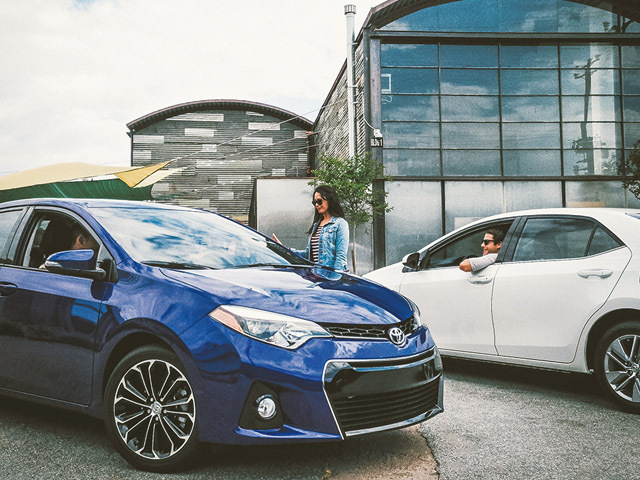 - Valvematic engine technology - Integrated rear spoiler"
- 2015 EPA-estimated 28 city/37 highway/31 combined mpg for Corolla L with manual transmission. Actual mileage will vary. 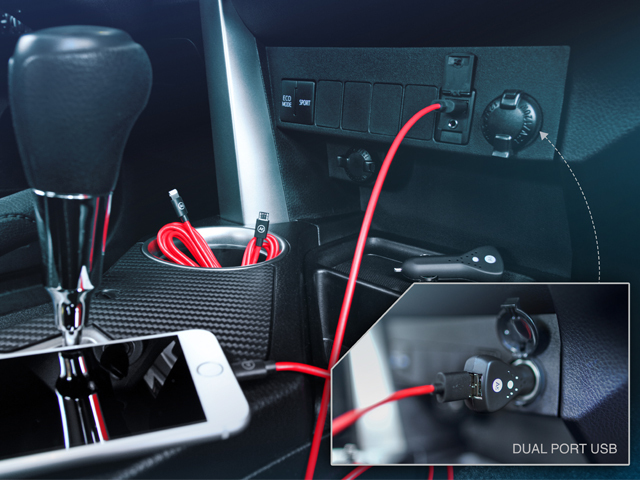 - May not be compatible with all mobile phones, MP3/WMA players and like models. - All the airbag (AB) systems are Supplemental Restraint Systems. 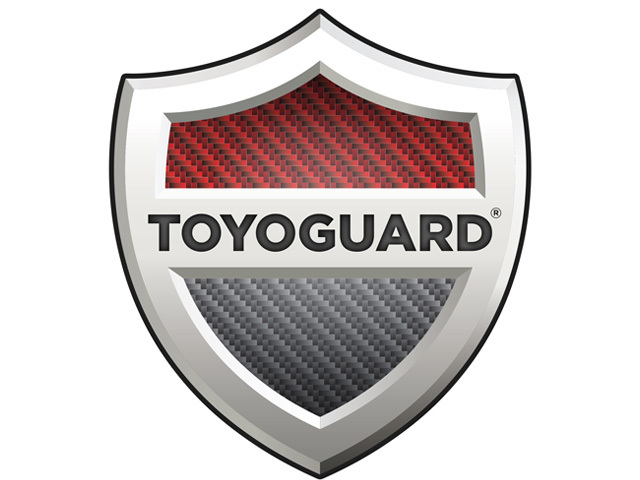 All ABs (if installed) are designed to inflate only under certain conditions and in certain types of severe collisions: frontal and knee ABs typically inflate in frontal collisions; side and side curtain ABs in side collisions; Roll-Sensing Curtain ABs at a severe tilt degree, roll or lateral G-force. In all other accidents, the ABs will not inflate. To decrease the risk of injury from an inflating AB, always wear seatbelts, sit upright in the middle of the seat as far back as possible and do not lean against the door. Do not put objects in front of an AB or around the seatback. 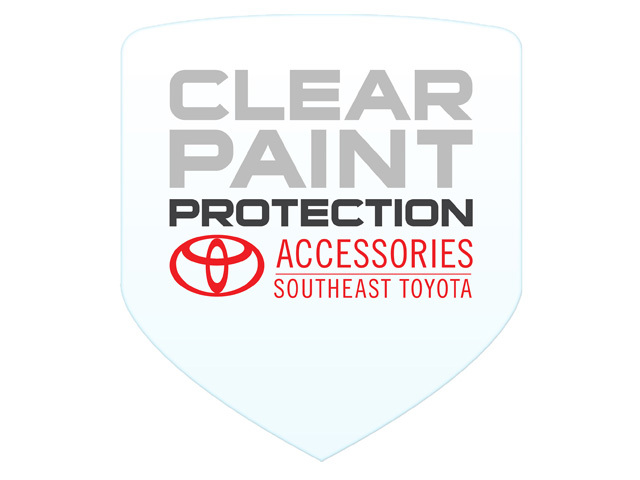 Do not use a rearward-facing child seat in any front passenger seat. The force of an inflating AB may cause serious injury or death. See your Owner's Manual for further information/warnings. 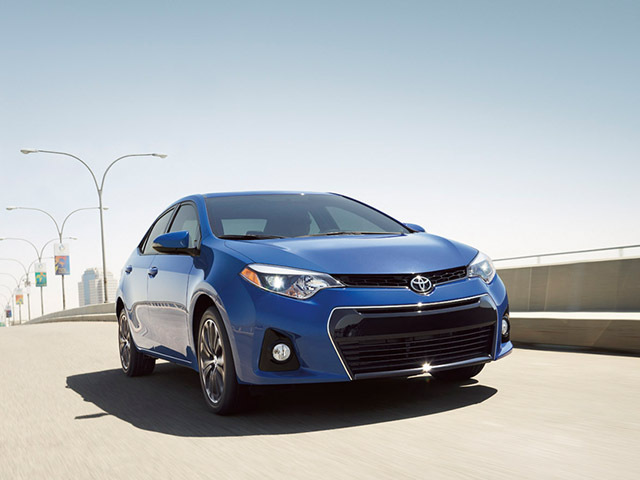 - 2015 EPA-estimated 29 city/38 highway/32 combined mpg for Corolla LE CVT. Actual mileage will vary. 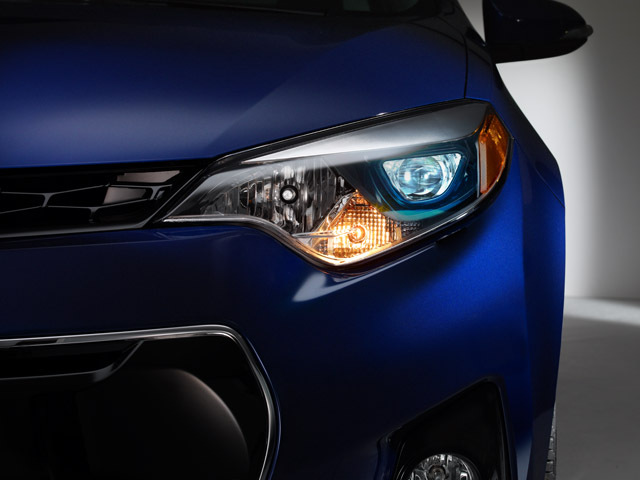 - 2015 EPA-estimated 29 city/37 highway/32 combined mpg for Corolla S CVT. Actual mileage will vary. 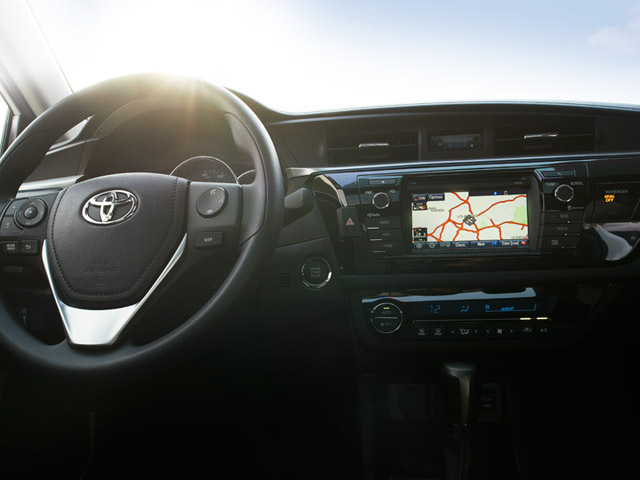 - 2015 EPA-estimated 30 city/42 highway/35 combined mpg for Corolla LE Eco CVT. Actual mileage will vary. Does not include LE Eco Plus and LE Eco Premium. 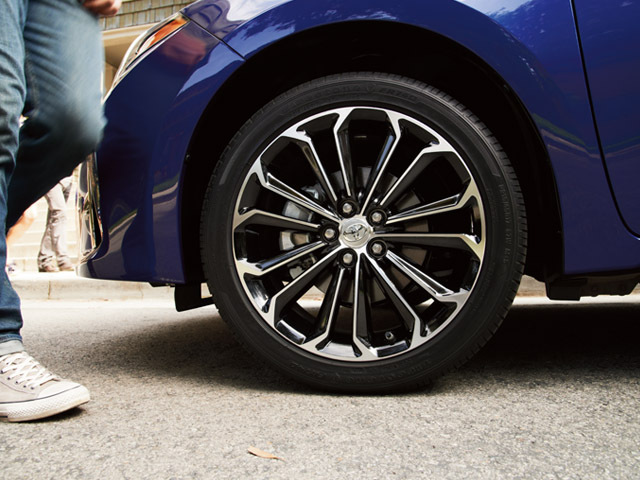 Corolla S Plus 17-in wheel.